I noticed the other day, that in almost all of my cocktail recipes, I mention a splash of seltzer but I’ve never really spent the time to give any rationale. You probably never questioned it, mainly because you have so much trust and respect for me, but I’m here to assure you, there really is a reason. And that reason is: bubbles = brightness. Now there are exceptions to every rule, and in this case there are probably many exceptions, but overall I find most cocktails benefit from a splash of the sparkling. In the same way the bubbles in Prosecco bring the brightness to the forefront, seltzer in a mixed drink highlights flavor in a wonderful way. In fact, this method often allows for a more subtle use of flavors (simple syrups, liqueurs, etc.) without rendering your cocktail bland and boring. But there is actually a much more accurate and interesting explanation for the brightness and flavor boost: Science. 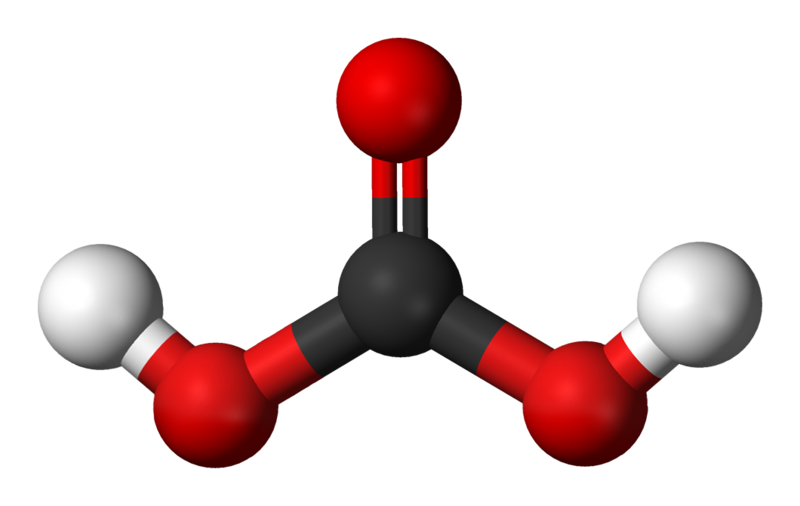 Carbonation (like in seltzer, champagne, or soda) is the process of dissolving CO2 in water. This dissolution reaction is responsible for producing carbonic acid (CO2 + H2O H2CO3 for those chemistry lovers out there: pictured above). And now we’re starting to get somewhere. How many times before have I mentioned the number of lemons and limes I go through? If I haven’t been explicit, the answer is many. And it’s because acidity balances sweetness. And sweetness comes in many cocktail forms. So when it comes to cocktail ingredients, the best way to think about seltzer is as mildly acidic bubbles. And mildly acidic bubbles are good. great article! Funny enough I have been spending a lot of time doing endless fun recipe testing in the molecular gastronomy world and today I came across a recipe for carbonated fruit. There are a few ways to do it but the easiest way I found was to take your fruit and cut it up in to bite sized pieces as if you were making fruit salad), put it in a ISI Whip Cream canister and inject it with a CO2 canister (not NO2 like it is often used for). And whala you have carbonated fruit. Imagine that in a coctail!!! That does sound awesome. Going to have to give that one a shot. Thanks for sharing!